THE MOST CAT OBSESSED PERSON EVER!! If you want, feel free to start a warriors RP in my comment section! 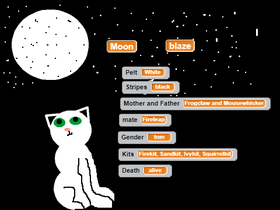 My best warrior cat generator yet! SimplyRozzie Friends and Followers Club! D o u g h n u t F a n C l u b !